Original and rare 1968 Laney LA60BL in superb condition is now available for sale. This Laney amp in 8/10 superb condition has been well taken care of – only minor scuffs and dings in the tolex here and there. See pics. Replaced “Stand By” switch and replaced input power socket – small details! Apart from that all original, rare and sought after vintage Laney amp. Reasonable offers welcome. 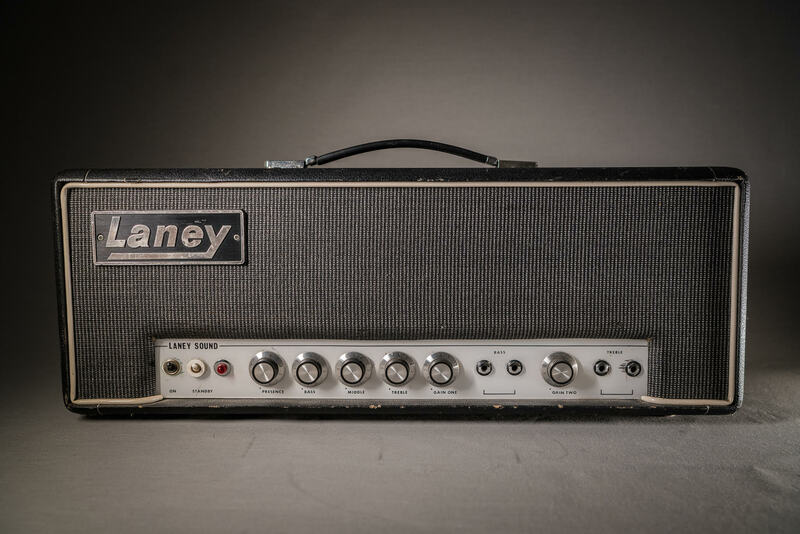 Original and rare 1968 Laney LA60BL in superb condition is now available for sale. This Laney amp in 8/10 superb condition has been well taken care of - only minor scuffs and dings in the tolex here and there. See pics. Replaced "Stand By" switch and replaced input power socket - small details! Apart from that all original, rare and sought after vintage Laney amp. Reasonable offers welcome.